WooCommerce is a free eCommerce toolkit for WordPress content management system. 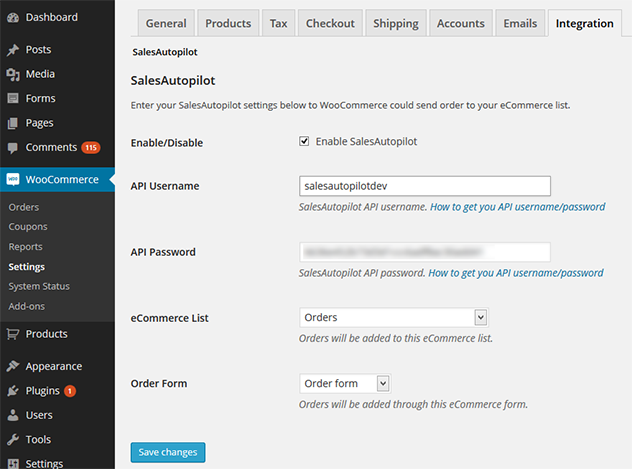 You can easily integrate your WooCommerce store with your SalesAutopilot account. 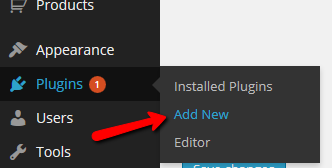 First, download the plugin from WordPress Plugin Directory. Install the plugin and activate it. In the left menu click the" WooCommerce / Settings" option. Then click the "Integration" tab. Enter your SalesAutopilot API username and password (more about how to get your API username/password). Then click the "Save changes" button at the bottom. Now, you can see your eCommerce lists in the first dropdown list. Select the one you want to integrate with WooCommerce. Click the "Save changes" button again, then select the Order form you want to connect with WooCommerce. Then again, click the "Save changes" button. You've done the settings. 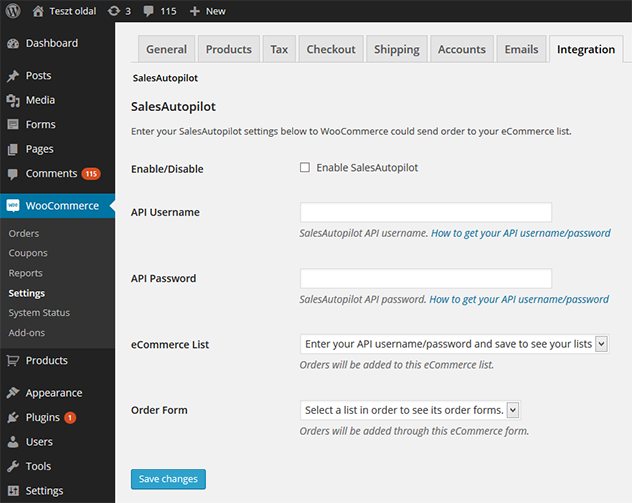 From now on, when an order takes place in your WooCommerce webshop it will be saved to the selected SalesAutopilot list.